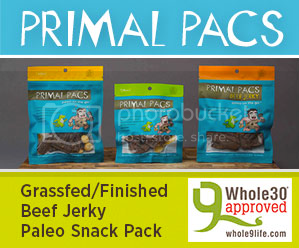 A mother and dedicated wife named Danielle Walker from the "Against All Grain" blog burst on the scene coming out of nowhere in 2013 with the release of her runaway smash debut book Against All Grain: Delectable Paleo Recipes to Eat Well & Feel Great which has gone on to become one of the most popular health books in recent years hitting the New York Times bestsellers list again and again. She's been the benefactor of the growing movement by people to start ditching the grains for good as a means for optimizing their health (no doubt this desire has been heavily influenced by two other seminal health books that have dominated the New York Times bestsellers list in recent years--Wheat Belly by Dr. William Davis and Grain Brain by Dr. David Perlmutter). 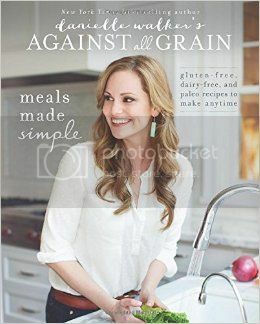 Now Danielle is back with her brand new 2014 book release Danielle Walker's Against All Grain: Meals Made Simple: Gluten-Free, Dairy-Free, and Paleo Recipes to Make Anytime offering up another serving of recipes that are helping to keep her healthy. After being diagnosed with an autoimmune disease that left her emaciated when she was 22 years old, she realized that she needed to make dietary changes to end her suffering. Danielle did some research and learned she could improve her health and gain weight again by removing the grains, lactose, and legumes from her diet which she did with great success. Now she's helping hundreds of thousands of people through her blog and books to get their health back and enjoy food again. With her culinary skills, love for food, and uplifting attitude towards health (which you'll hear on full display in today's interview), Danielle has become a source of hope for others suffering from all types of diseases and allergies. 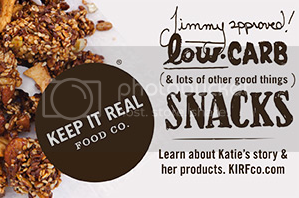 Listen in as Jimmy and Danielle have a delightful conversation about her overwhelming success promoting grain-free living.